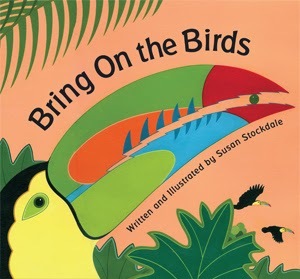 Susan Stockdale is the author and illustrator of the new children's picture book Spectacular Spots. 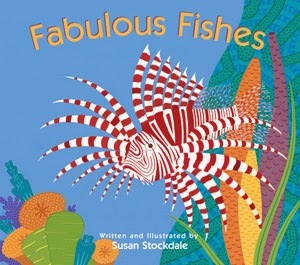 Her other books include Stripes of All Types, Bring on the Birds, and Fabulous Fishes. 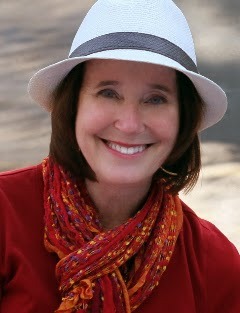 She is the president of the Children's Book Guild of Washington, D.C., and she lives in Chevy Chase, Maryland. 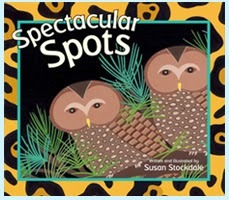 Q: How did you come up with the idea for your new book, Spectacular Spots? A: As soon as I wrote the manuscript for my book about striped animals called Stripes of All Types, I knew I wanted to create a companion book about spotted animals. It just made sense. And, as a former textile designer, I’m always looking for a reason to paint and celebrate the intricate patterns found in nature. Q: There's also a bilingual version of Stripes of All Types. How did that version of the book come about? 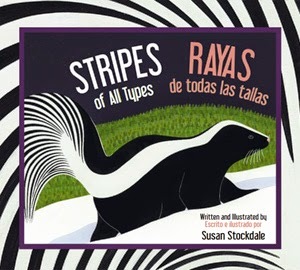 A: Stripes of All Types was selected for the 2014 Pennsylvania One Book, Every Young Child early literacy program. Susan Pannebaker, the program’s founder and director, asked Peachtree Publishers if it would be willing to print a bilingual Spanish/English version of the book for statewide distribution. Peachtree was delighted to do this, and 70,000 copies of the Spanish/English edition were printed and distributed to Pennsylvania preschools and Head Start programs. Now the bilingual version is available in several formats: hardcover, paperback, board book, and “big book." Q: Which children's book authors and illustrators have especially inspired you? A: I am very inspired by Steve Jenkins. His book themes are so clever and his writing and illustrations are beautiful. I’m also a big fan of the wonderful books of Peter Sis. His detailed, patterned illustrations are captivating and original; you won’t confuse his artwork with anyone else. I visit art museums all the time, and painters such as Matisse and Degas inspire me. But nature – the best designer – is always my greatest inspiration. A: I’m developing my first nonfiction picture book that isn’t about animals. I’m keeping the theme a secret for now, but I can say that my subject is something in nature that brings people lots of pleasure. A: I design book images in my head while I’m swimming laps in the pool. There’s something about the routine of swimming back and forth that is conducive to imagining the illustrations, page by page. If only I could execute them in that brief amount of time! --Interview with Deborah Kalb. For a previous Q&A with Susan Stockdale, please click here.